My daughter is now in middle school, so away went her childhood table in her room and in its place is a desk. 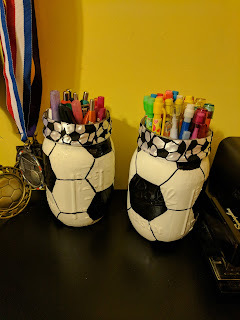 We are in the midst of redoing the wall above the desk to showcase all her soccer awards. So to incorporate the soccer theme into her desk, I made soccer ball themed jars to hold her pens and pencils. 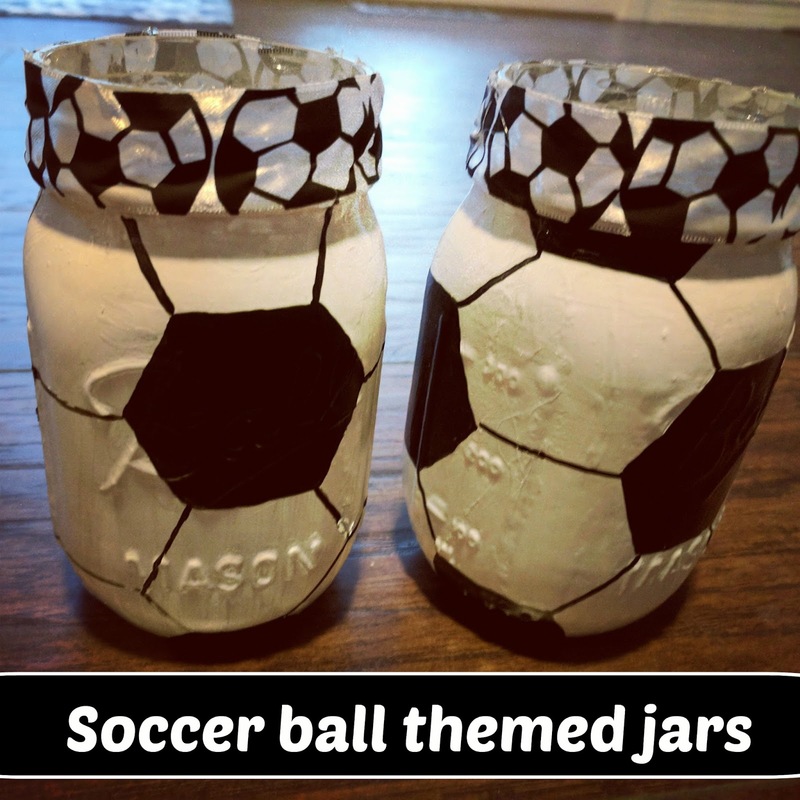 Paint the whole jar white. It will take multiple coats. 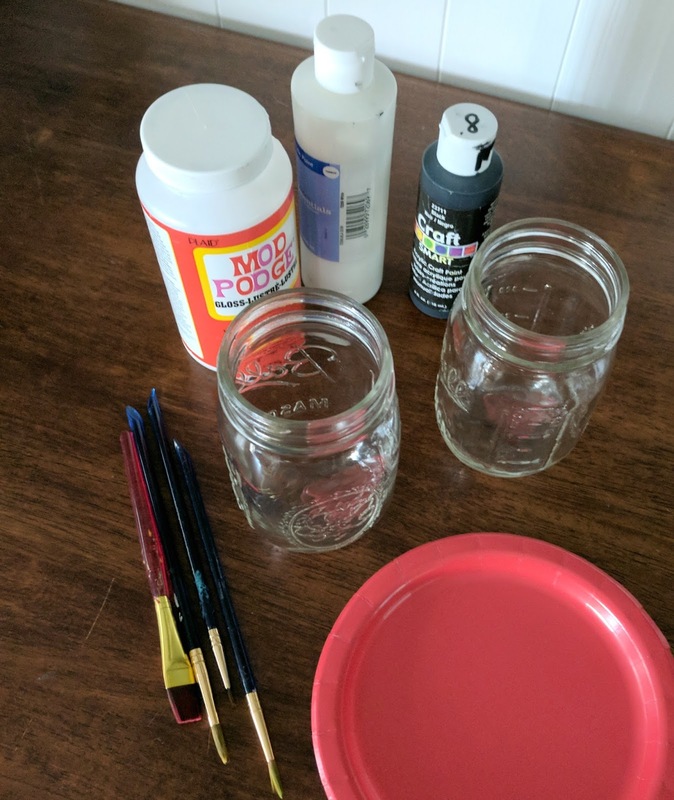 I ended up finding a small jar of white house paint after my first couple of coats. I then only had to add another two with the interior paint. 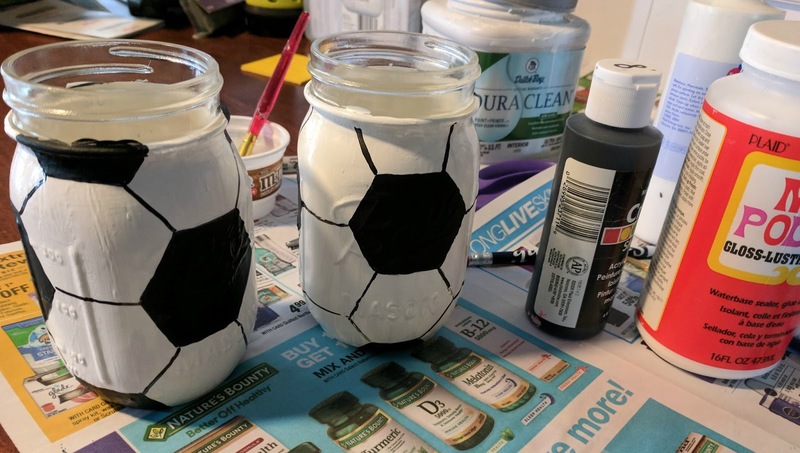 Most soccer ball shapes are pentagons, but that was too hard for me to do around the jar. 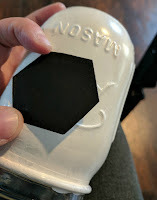 The hexagon shape allows for it to measure up exactly all the way around. Cut out a hexagon shaped piece of paper, and trace around it with pencil. After you have the jar covered in hexagon shapes, trace out the lines with black. 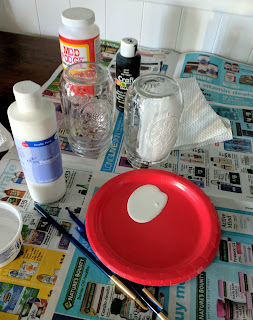 Since the acrylic paint is flat and dull, I added one coat of Mod Podge Gloss over top of it. I normally have a gloss spray on hand, but was out tonight. I loved the look of the Mod Podge. It was so shiny and sleek! To cover up the top of the jar, I just hot glued on some soccer ribbon!